This guy has the odometer gear for sale. These are the gears that break when you reset while moving and cause your odometer to stop recording mileage. 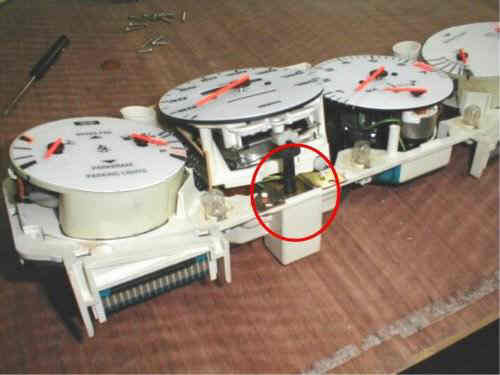 If your odometer is not working, this is probably why. They fit any late, 85.5-, 944/951/968. They also fit the 928 up to 1989. They are $40.00 each including shipping within the continental US. Shipping outside the US may be more. Payment by money order or Paypal ( www.paypal.com ). If you have any other Porsche parts needs, feel free to email him. He will do his best to make you a great deal. 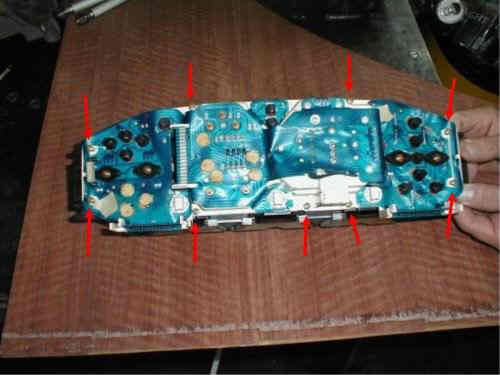 1) Remove 9 screws holding front/back together. 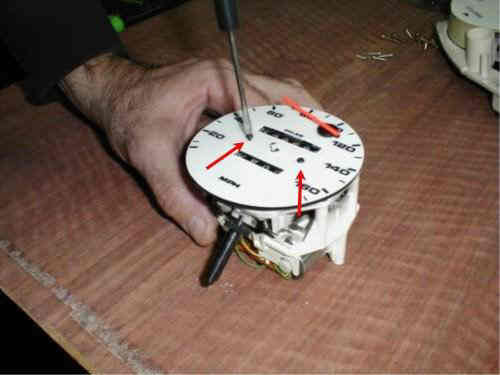 2) Remove 4 screws holding speedometer in housing. 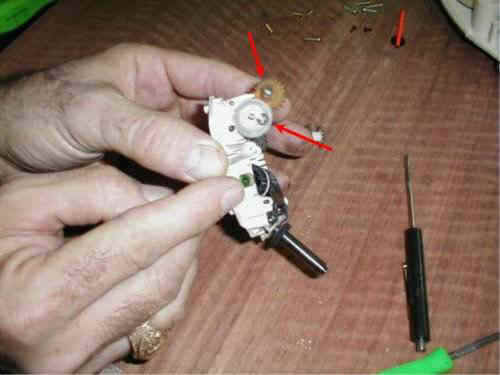 3) Gently pull off speedometer needle and remove 2 screws holding face on. 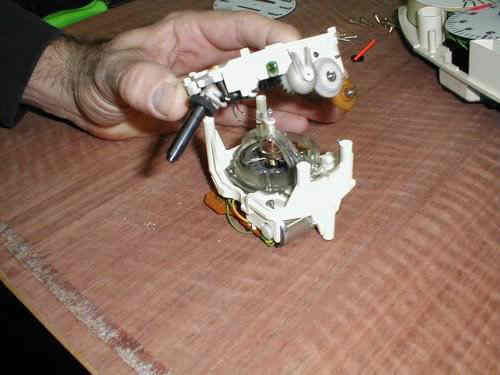 4) Remove 4 screws hold halves of speedometer together. 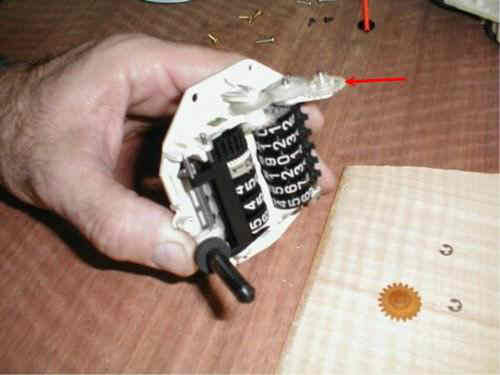 6) Using a paperclip, push out pin holding in gear. 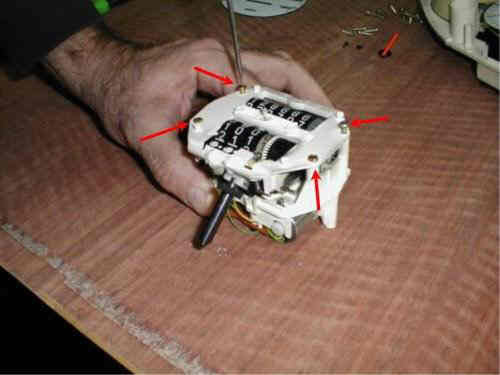 7) Remove e-clips holding next 2 gears in place. 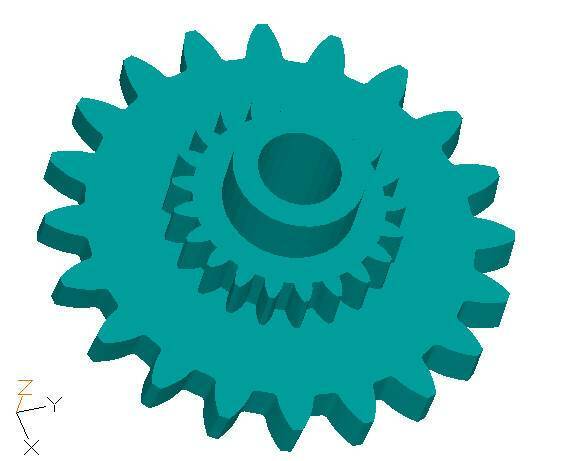 8) Be sure to clean the broken gear debris out of the good gears or they may bind. 9) Silver race goes on shaft BEFORE new gear. 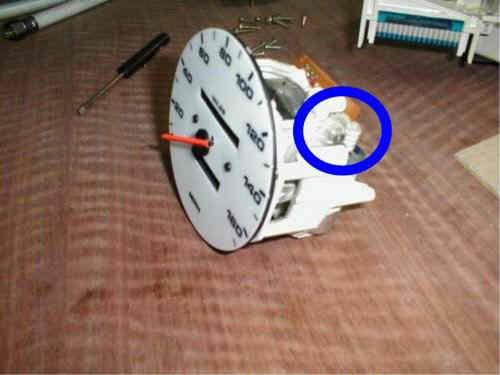 10) Reuse e-clips to hold gears in place. 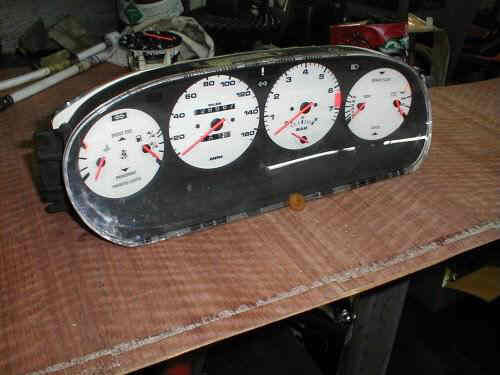 11) New gear in place and speedometer re-assembled. 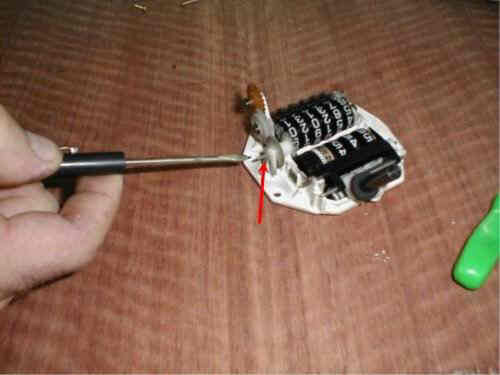 12) Be sure to get trip reset plunger into solenoid. 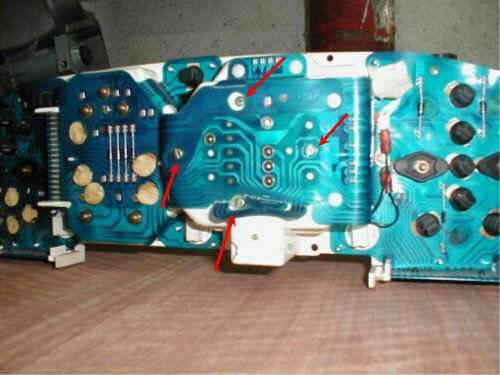 13) Install the rest of the screws and job is complete.